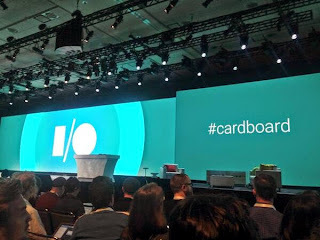 Pete Levin Films: Cardboard animation for Google! A few weeks ago, I got a call to work as an animation director on a project for Google and jumped at the chance! Google's got a bit of a legendary status as a cool place to work and I wanted to try out some of the cafeteries on their campus at the Googleplex in Mountainview, CA. Nick Carbonaro, a talented director that I worked with on a series of Ronzoni commercials, would be directing this spot and remembered me from our previous work together. We actually shot the spot up in Sonoma with Colin Blackshear & Josh Livingston with a crazy moco camera rig at their production house, Film Country. Director of photography was David Jacobson. Check out the Cardboard app for Android. 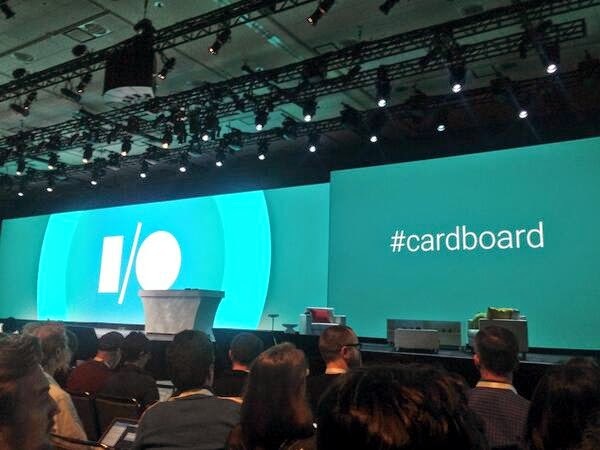 The animation ended up being a demo for Google's Cardboard. The big surprise of Google i/o Conference this week, Cardboard is literally a package made of cardboard that unfolds into VR goggles that will work for your Android phone. You can scroll down the page HERE to step through the animation.